Low birth weight (LBW) is a major risk factor for death and disease in the fetus and newborn infant. However, the study about LBW and maternal risk factors involved in Indonesia is still limited. 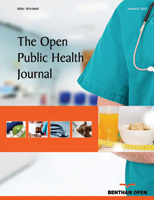 The present study attempted to examine the association of maternal risk factors including mother’s age, mother and husband education, mother and husband occupation and wealth, ANC visit, desired pregnancy and obstetric complication toward the occurrence of low birth weight infant across region and family wealthy. This study employed the data from the national survey of Indonesia Demographic and Health Survey (IDHS). The latest births from married women who gave birth within 2 years (2011 and 2012) preceding the IDHS were considered as sample selection. It was approximately 15,126 respondents. The predicted risks of low birth weight were estimated using multilevel logistic analysis. Data were collected on 15,126 pregnant women who reported 10.2% were with LBW infants. When using the multilevel logistic analysis, the factors associated with LBW were maternal delivery-baby age, mother’s education, antenatal care and pregnancy complication at significant levels of 0.01. The prevalence of preterm infants in this study was quite high. Factors affecting LBW were maternal age, maternal education, ANC visits and pregnancy complication. The ANC visit of pregnant women is a potential and feasible activity to reduce the incidence of LBW. Keywords: Low birth weight, Infant, Maternal health, Maternal risk factors, Indonesia, Fetus. © 2018 Siramaneerat and Agushybana.